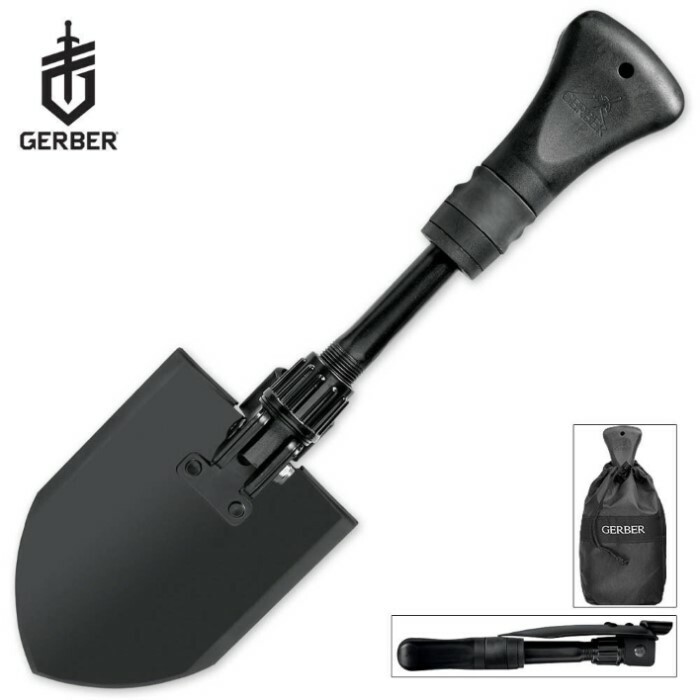 Tough yet inexpensive, this lightweight and easily packable folding shovel features a fast, easy-to-use push button slide mechanism to deploy it into action. The carbon steel shovel blade offers a hammer surface at its base for additional utility. 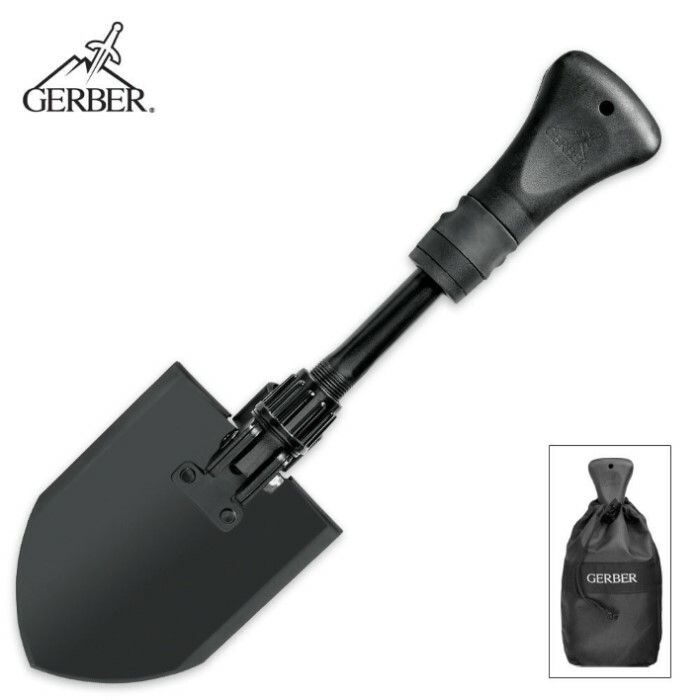 The glass-filled nylon handle with rubberized overgrip provides a comfortable and secure hold when the shovel is being used. This item includes a nylon drawstring storage bag for easy storage. This shovel measures 9 1/4 in. closed and 23 3/8 in. when open. I was looking for a compact shovel that would fit in a backpack or car trunk case. This folding shovel answers my need. I was amazed by the sturdy design, especially its ability to be utilized as a hammer for tent stakes. The size presents a low profile in your backpack. The shovel case keeps the shovel from tangling with your backpack contents. The ergonomic handle is comfortable and well made. You will not wear out this shovel, it is very well built to last for years. For the price, it can't be beat.